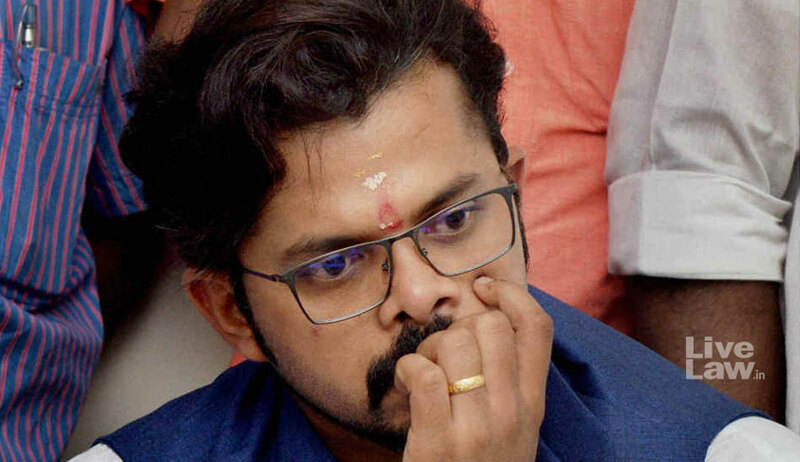 The Supreme Court today issued notice to BCCI on a special leave petition filed by cricketer S Sreesanth against the judgment of a division bench of Kerala High Court that restored the life ban imposed on him by the Board in the wake of the 2013 IPL spot fixing scandal. A bench of Chief Justice Dipak Misra, justices A M Khanwilkar and D Y Chandrachud sought the response of the BCCI within four weeks. Sreesanth has been given four weeks from then on to respond to the Board's reply. When senior advocate Salman Khurshid who appeared for Sreesanth said he has not played for six long years and pleaded that there be a speedy hearing of the plea, CJI said "no we are not going to pass any interim order". But after Khurshid's plea the bench reduced the time given to BCCI to file response from earluwr 6 weeks to 4 weeks. Senior advocate Parag Tripathi appearing for BCCI tried to explain the reasons for the ban and the "evidence" against Sreesanth but the CJI said "we are not hearing it today.Only issuing notice". A single judge bench of Kerala HC had earlier lifted the ban and set aside all proceedings initiated against him by the Board. The crux of Sreesanth’s contention was that the preliminary enquiry was held while the cricketer was under custody by Delhi Police, and that without hearing his version, the enquiry officer had reached conclusions of guilt in the preliminary report. Though this argument was accepted by the single judge, the division bench observed that there is nothing wrong in the approach of the enquiry officer, and that the preliminary report was followed by a supplementary report, which was prepared after notice. All the 36 accused in the spot-fixing case, including Sreesanth, Ankeet Chavan and Ajit Chandila, were let off by a Patiala House court in July, 2015.